Style savvy Ponte Vedra women have been paying close attention to the spring 2016 collections showcased during fashion week, which takes place twice a year in the major fashion capitals of the world beginning in New York, London, Milan and culminating in Paris. 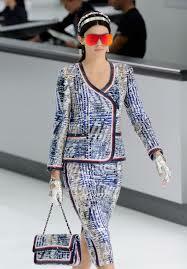 Personal favorites were Tory Burch, Alexander Mc Queen and Chanel. Tory Burch continues to astonish with her flattering ready-to-wear styles. The Alexander McQueen show featured stunning feminine ruffles. And Chanel designer, Karl Largerfield astounded with yet another modern and relevant reincarnation of the timeless Chanel suit. Ruffles, shine, deconstructed tailoring and “underwear as outerwear” emerged as trends during Paris Fashion Week. 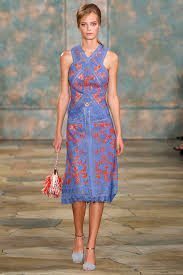 Click these links to see for yourself: Tory Burch’s NY ready-to-wear show, the Chanel show staged in a recreated “happy and friendly” airport, and for the time challenged, a link to NY Times, T Styles, Paris Fashion Week in 60 Seconds.